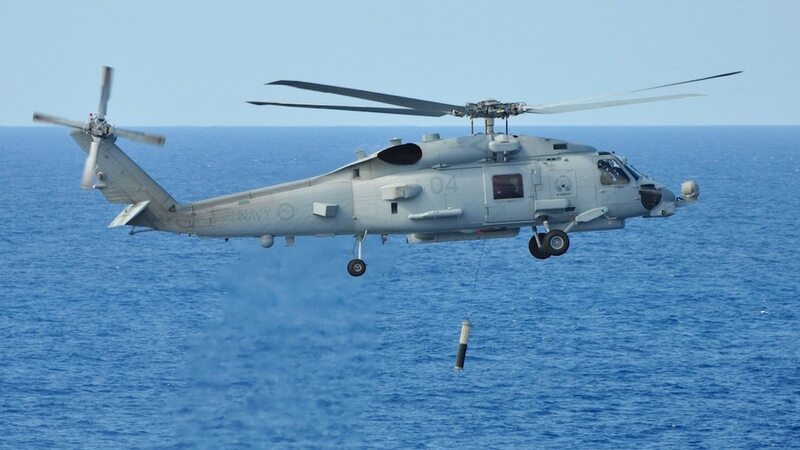 WASHINGTON — As tensions continue to simmer between India and Pakistan, the U.S. has cleared New Delhi’s request to buy 24 new MH-60R Seahawk multi-mission helicopters. The sale comes with an estimated price tag of $2.6 billion, according to a Tuesday announcement from the Defense Security Cooperation Agency. Participation of the Mi-35P Hind helicopter gunships, recently delivered to Pakistan by Russia, showcased “part of the drift away from the U.S. as an arms supplier." The announcement comes after six weeks of increased tensions between India and its northern neighbor. The issue started with a Feb. 14 terrorist attack that killed 40 Indian military personnel; while the Jaish-e-Mohammed group claimed responsibility, the Indian government blamed Pakistan for supporting the attack. India’s ministry of defense announced plans to buy the 24 helicopters last August. The Seahawk is the naval variant of the popular UH-60 Black Hawk helicopter. Pakistan has prioritized developing new naval capabilities. In addition to the 24 helicopter frames, the potential sale would include 30 APS-153(V) Multi-Mode radars, 60 T700-GE-401C engines, 24 Airborne Low Frequency System (ALFS), 1000 AN/SSQ-36/53/62 sonobuoys; 10 AGM-114 Hellfire missiles; 38 Advanced Precision Kill Weapons System (APKWS) rockets; 70 AN/AVS-9 Night Vision Devices and an assortment of radars and other parts. DSCA notifications are not final; they must be cleared by Congress before entering final negotiations, during which quantities and prices can change. India’s defense procurement efforts are infamous among contractors for stalling out or changing dramatically during the process. Should a deal be completed, Lockheed Martin’s Rotary and Mission Systems unit in Owego, New York, will be the primary contractor. While India typically requires commercial offsets, that agreement will come later.